A suite of communications initiatives promoting RiverWise and Waterwise residential gardening practices. 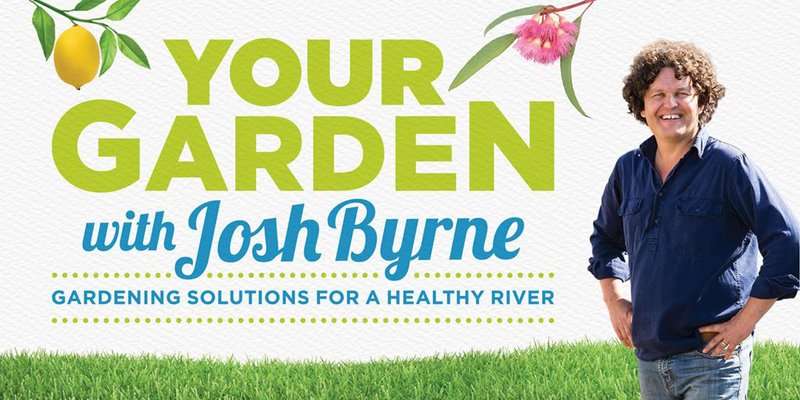 Your Garden with Josh Byrne is a suite of communication initiatives providing Perth residents with the knowledge and tools to create a successful garden without impacting our precious Swan and Canning Rivers. Consisting of six workshops delivered during the spring of 2016 and autumn 2017, an online assessment tool and a garden guide, the program showcases the latest ideas in environment-friendly gardening. Supported by the Department of Parks and Wildlife’s River Guardians program and Water Corporation’s Waterwise program, the workshops tool and guide provide participants with the practical information needed to get the best results from their garden. The online garden assessment tool will deliver a personalised gardening action plan that also provides partner organisations with data on West Australian resident gardens and gardening habits.